Amherst Brewing Company (A.B.C) is a great place to grab a bite to eat, relax and drink refreshingly smooth homemade brews. What sets this place apart from other bars? Plenty of things, but most importantly "the beer," says an A.B.C enthusiast. There is no better way to celebrate the changing seasons than with A.B.C's seasonal beer. These beers, along with the year-round brews, are named after inspirations such as the owner's pets, children, graduation time and the Super Bowl. Typically a pint of any flavored beer is only $3.75 but can contain up to 7.2% alcohol by volume. The menus include a detailed description of each brew, as well as a chart that explains the body, bitterness and hop factor. Seven O's Bar is a place where everyone knows your name. Located on 330 Amherst Road just before downtown Sunderland, Seven O's is just a short bus ride away for UMass students. Established and built in 1976 by Ralph Olszewski, Seven O's started as a family business. The name of the bar comes from the Olszewski family, Ralph's wife and five kids, forming the "seven o's." Ralph wanted to build a bar that was safe enough to bring his wife to and he wanted to feel at home. In his eyes, Seven O's is a success. Seven O's is a wide open area, spacious and homey - like a family living room. With a stage in back and open floor in front, it is ideal for karaoke. In fact, Seven O's won Best Place for Karaoke in the 2006 Reader's Poll of The Advocate. "It was really a surprise to me," says Agnes Ting, current owner of the bar, upon receiving the award. 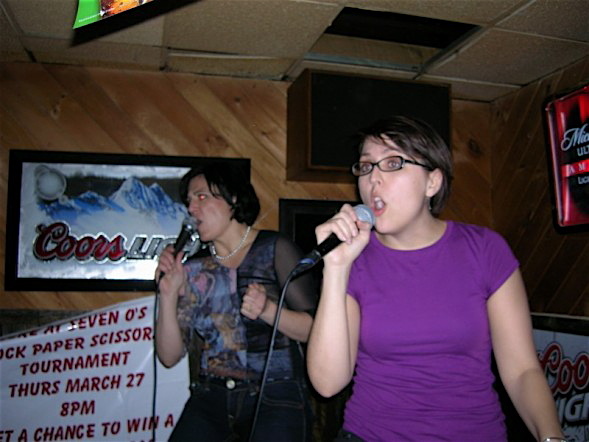 Karaoke at Seven O's is every Wednesday night starting at nine, and anyone is welcome - singing isn't in the job description, but having a good time is mandatory. Along with award-winning karaoke, Seven O's also has live music on Friday and Saturday nights. 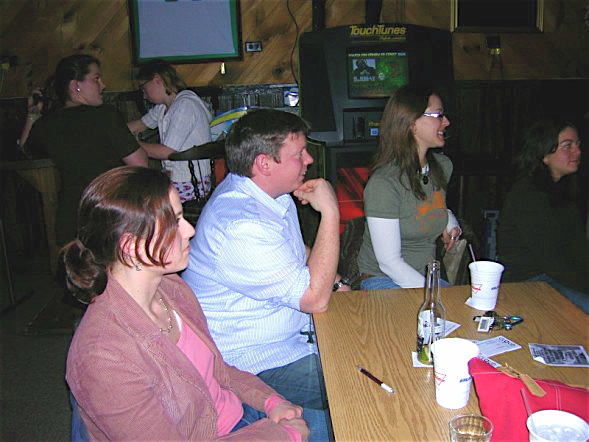 A regular performer at the bar is Mark Snow. Snow performs songs from The Band, Elvis, Johnny Cash, and music from classic rock era. Along with Snow, there are a variety of performers who play at Seven O's. "Anyone can play here," says Anges. She especially encourages student bands to perform. "It is perfect to play here," she says smiling. "Bring your friends and have a good time." There is plenty of room and enough beer to last till morning.